MATP trains participants in aquatics, dexterity (track & field), electric/manual wheelchair (track & field), kicking (soccer) mobility (gymnastics), striking (softball), and team sports. Some programs refer to these events as “Developmental Games/Events”. Click here to find your coach certification status. MATP can be incorporated through schools, group homes, residential facilities, and other community-based setting as needed. Local programs can utilize physical therapists, occupational therapists, therapeutic recreation providers and/or adaptive physical education instructors to identify and develop their MATP program. Sport Development Teams (SDT) are responsible for assisting with local and state-level programs and competition, educating coaches and officials, and promoting active engagement among athletes throughout the year. Click here for more information. Certified Clinicians receive additional training in presentational skills to conduct training schools in their community. In order to become a Certified Clinician one must have a Special Olympics North Carolina level 2 sport certification in this sport. For more information on becoming an SDT member or a Certified Clinician, contact sports@sonc.net. 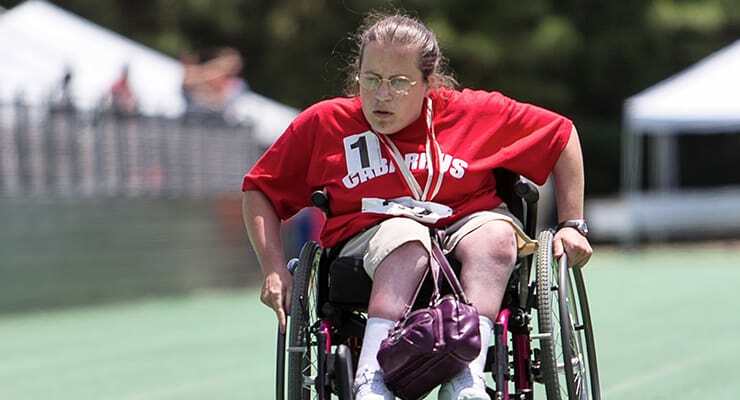 Special Olympics North Carolina offers sports training and competition in 19 Olympic-type sports to children and adults with intellectual disabilities. Learn more on how to become an athlete. Become a Unified partner and play on a team alongside athletes with intellectual disabilities. Combine knowledge and passion for a sport by becoming a Special Olympics North Carolina coach to lead athletes in preparing for local and state-level competition. Serve a crucial role at Special Olympics North Carolina by volunteering at our office or one of our many events throughout the year. Check out our home page for these volunteer opportunities. Officiate for Special Olympics North Carolina by donating your time as a sports official. Contact sports@sonc.net for more information. Sport Development Team members (SDT) are active volunteers who channel their passion and knowledge for a sport into effective leadership for local and state programs. Certified clinicians supplement the SDT by providing coaches training in their community. Click here for trainers. For more information on getting involved, contact sports@sonc.net.